Is there anything that Roger Federer cannot do? His Miami Masters title win was a lesson on the use of the blocking technique to neutralize rockets hurled at 135mph+! 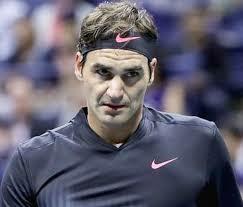 Roger Federer is 37 years old and can easily be mistaken for 40. He, however, continues to play like a 20 something! Roger Federer’s weaknesses in the last five years have been his obvious inability to out-grind the sport’s best grinders over four or five sets and maintain focus against the big-servers and hitters. We, however, would like to cut the old man some slack because both those shortcomings will only worsen with time and are common to all players, not named Rafael Nadal, with just half the number of matches played by Roger. The Maestro neutralized Isner’s 135 mph bombs. 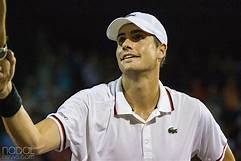 John Isner came into the finals as the event’s defending champion and with the killer serve which appeared unstoppable against Ramos, Edmund, Agut, and Aliassime. Against Roger Federer, however, he scored a low 59% to Roger’s 100% on the first-serve points won in the match. The ease with which the Maestro blocked and neutralized Isner’s 135 mph bombs in the first set was a little uncanny. It appeared as if the two had rehearsed the play in practice and went through those exact motion in the final! There was always a danger of Roger losing focus and shanking returns and forehands, but he stood his ground and did not allow any lapse in concentration even after Isner’s injury in the middle of the second set. What next for Roger Federer? Roger Federer now leads the ATP’s race to London and has a shot at capturing the number one slot sometime in the calendar 2019. Federer, however, would be better advised to capture the Wimbledon and, if possible, US Open and let the rats play out the rate race. ← Looking back at Nadal, Federer, Djokovic, and Thiem at the Indian Wells Masters. Federal’s weakness? The pressures from his own legend.